The Department of Education (DepEd) has released an advisory with regards to the Filipino movie titled Ang Larawan, an adaptation of a musical which in itself was based on a Nick Joaquin play. According to the advisory, there’s great value in the movie especially for teachers of English, Philippine Literature, Sibika at Kultura, and Araling Panlipunan. Set in a period before the onset of the Second World War, Ang Larawan tells the story of a well-known painter and his children. Thrown in for good measure is the character of a boarder taken in for extra income by the painter’s daughters. Below is the advisory released by DepEd about the movie. In compliance with DepEd Order (DO) No. 8, s. 2013, this advisory is issued not for endorsement, per DO 28, s. 2001, but only for the information of DepEd officials, personnel/staff as well as the concerned public. The Culturtain Musicat Productions Inc. brings to the silver screen And Larawan, an adaptation of Larawan, The Musical, which was based on A Portrait of the Artist as Filipino by National Artist for Literature Nick Joaquin. The three-act play has been depicted numerous times on stage and on screen in English and Filipino – making it one of the most pedigreed literary works of the Philippines. 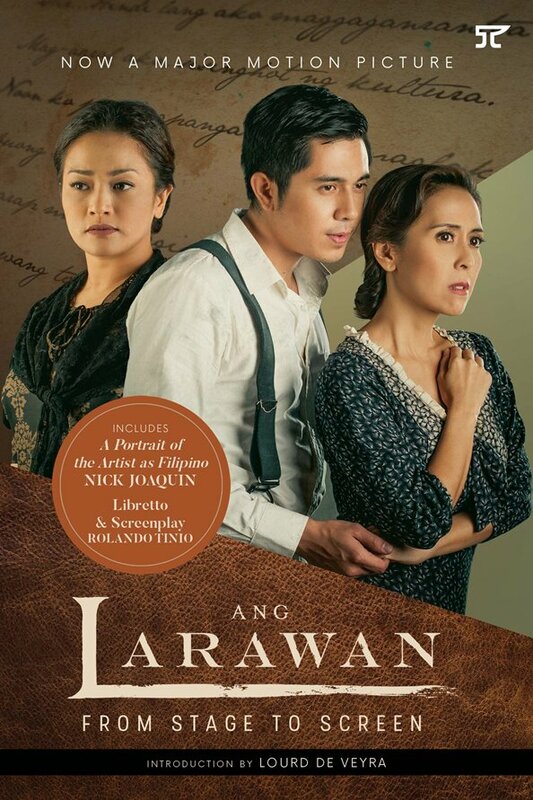 Ang Larawan is “an ode to the passing of the world of truth and beauty and a celebration of the tenacity of the Filipino spirit amidst the rise of materialism”. Background and full synopsis is available at www.anglarawan.com. Ang Larawan received six awards of the 2017 Metro Manila Film Festival: (1) Best Picture, (2) Best Musical Score, (3) Best Production Design, (4) Best Actress, (5) the Gatpuno Antonio J. Villegas Cultural Award, and (6) the Special Jury (Posthumous) Prize for Nick Joaquin during the Gabi ng Parangal held at the Kia Theater in Quezon City on December 27, 2017. The target viewers are teachers of English, Philippine Literature, Sibika at Kultura, Araling Panlipunan, student-teachers and students, among others. Viewers below thirteen (13) years old must be accompanied by a parent or supervising adult.